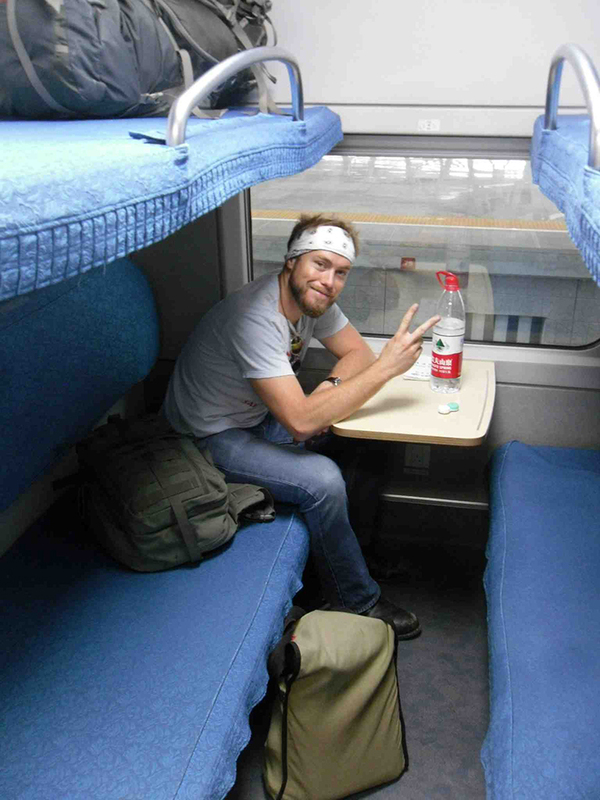 Me on one of my first train rides through China on the Bullet Train. In the U.S. we don’t really have an effective train network, most cities don’t have a subway or light rail, and most unfortunately for us it doesn’t look like we’ll get one any time soon. So really, coming from Ohio, I never had a lot of experience on trains beside the brief moments on the L-train in Chicago, the subway in New York, and the BART out in San Fran. I enjoyed all of them, but the thrill was always fleeting and the destination was more important than the ride. My friends waiting for the Subway in Brooklyn, New York. Good times. But when I came to Asia and dove right into all this traveling my time on the railway became a part of my life instead of a chore. 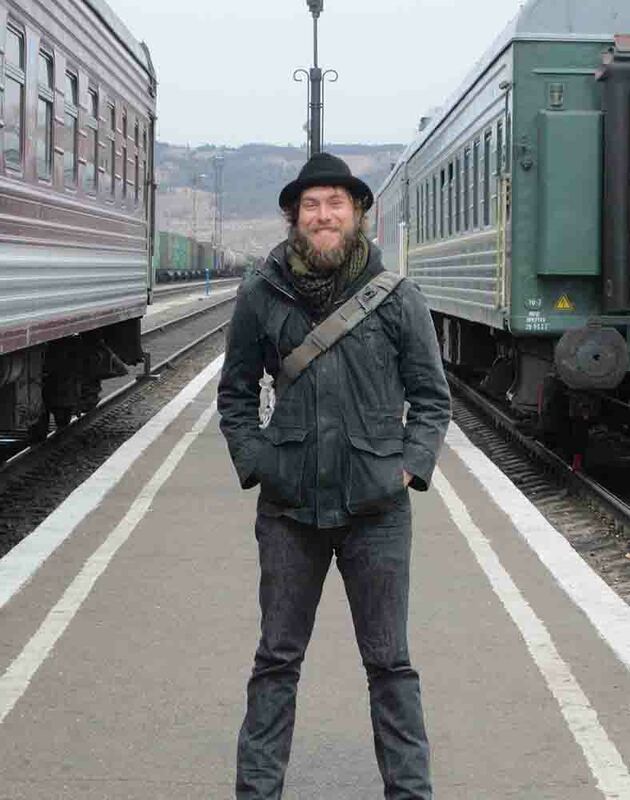 In Korea I had my first multi-hour train rides, in China I had my first overnight train ride, on the way to Tibet I had my first several day train ride, and while I’m writing this right now I am on the longest train ride of my life, 81 hours from Almaty, Kazakhstan to Moscow, Russia on the Trans-Siberian. 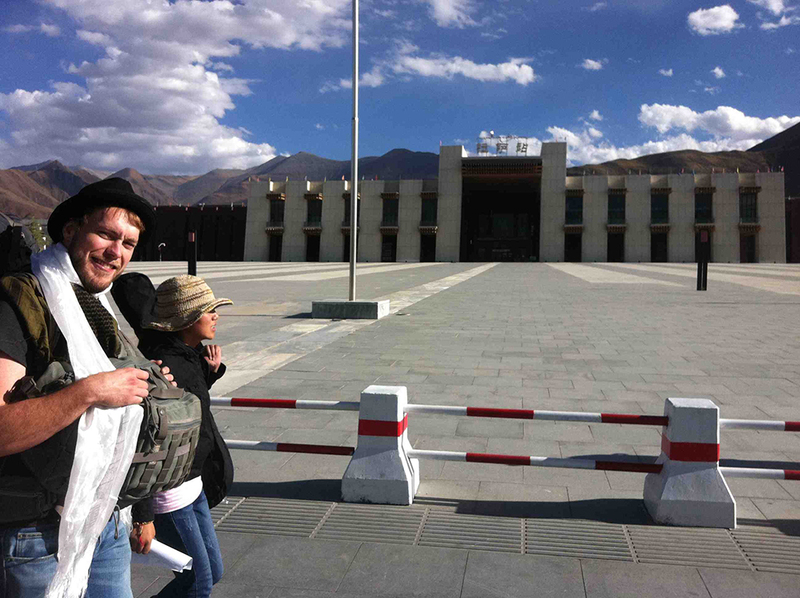 After one of the most beautiful train rides of my life I arrived in Lhasa, Tibet. Pictured with me here at the station is my awesome guide Joma. When you are on a plane you stay in your seat, you read your book, and maybe you watch the in-flight movie. But on the train you are in a small society living and breathing in 5 to 20 steel boxes moving along a track for days on end. You sleep next to strangers, you eat in dining cars, you get to know your cabin mates, you watch through very big windows as the world goes by, but the biggest difference between this and any other traveling is that you are mobile and socially interacting. 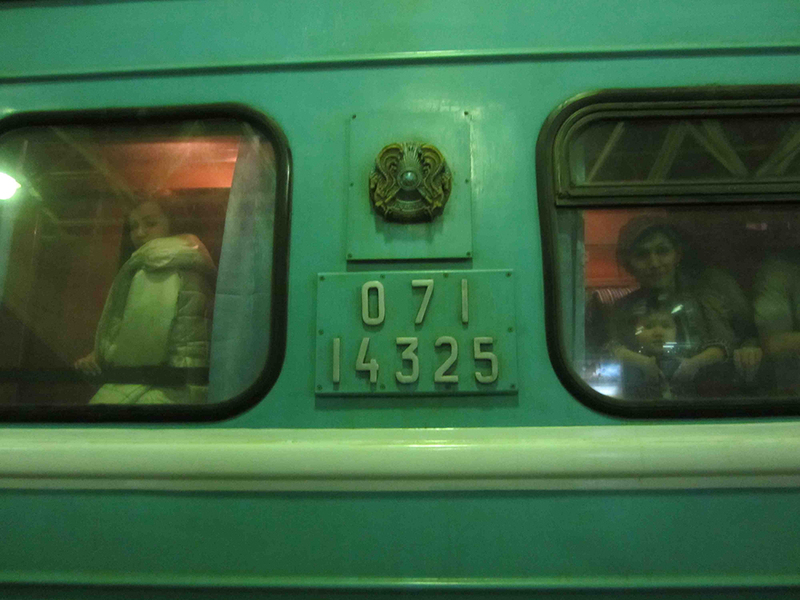 My fellow Kazakhstan passengers peering out the windows of our train. Some of the best conversations I’ve ever had with people in their home countries were on trains. 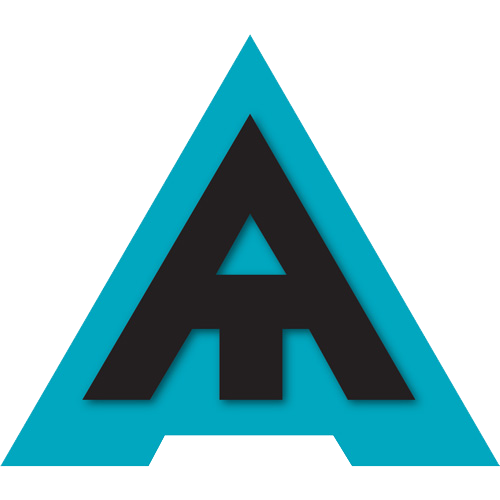 The other day I talked to a Kazakhstan man for two hours and we probably knew 4-8 words of what each other were speaking. In our 2 hours we learned about each others family and proudly showed photos, he used pictures and charades to describe his job, he told me he felt that Russia and Kazakhstan were still brothers and always would be, we shared tea and dumplings, he taught my friend Ian and I how to play the Russian card game “Durak”, and ended up buying me a black market T-shirt before he said goodbye. He was the man. I even exchanged a deck of Chinese poker cards for his Russian ones. He was a badass dude that I won’t forget and all because of the train. 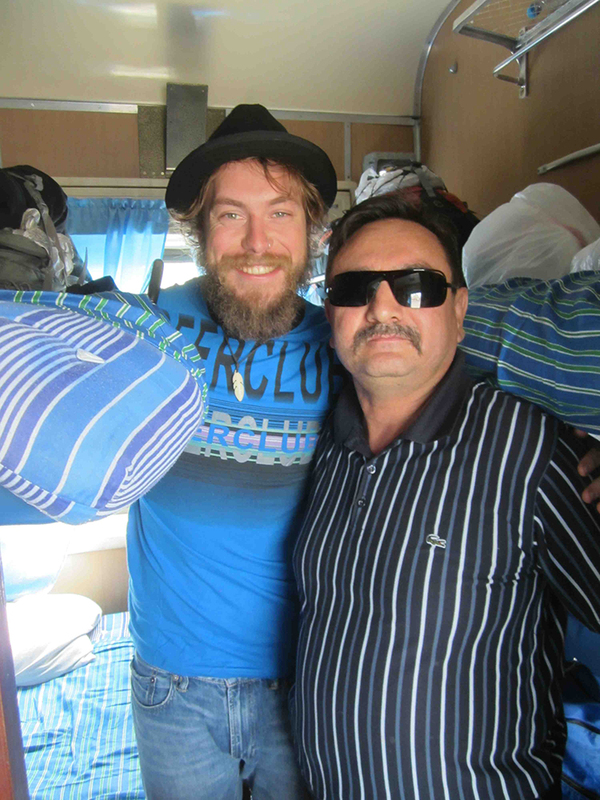 My awesome Kazak buddy Omar, he is railway legend, I mean, just look at him. Even when train rides are less than awesome, are even less than hospitable, like 19 hour hard seat rides through back ways of China with squat pot toilets that look like a chocolate bomb went off on the bathroom floor, there is always something to remember. And even if there isn’t anything memorable I find myself writing, drawing, reading, and getting more out of my still time than I ever have in my life. I’ve read more and written more in the past year than I have in the past five and that is largely due to my time on rails. Sitting on a train, listening to the cars go over the rails, feeling the vibrations of the tracks, watching a never-ending landscape and cast of characters move by I often find myself entering a peaceful Zen like state. Like a railway Buddha, ha, you sort of find the time to think about things in life that may have escaped you or maybe you take the time you’ve been missing to not think at all. There is a real skill in life to learning to just sit and be at peace, and the train is definitely the stone you sharpen that skill on. On the Trans-Siberian it is always a pleasure to ride. Jean de La Fontaine once said, “A person often meets his destiny on the road he took to avoid it,” and I think that’s true, but more broadly I think a person meets his destiny in the place he least expects it. I’m not saying I’m destined to be a romantic train jockeying hobo, but I definitely think the chances are good that whatever truths may be revealed to me in life might be revealed while sitting on a train.